As expected LCC Spicejet is grounded, its fate is unknown at this time, but very doubtful it will fly again, surely all lessors of the B737-800/900ER’s and Q400’s are there now, looking to get their assets out. 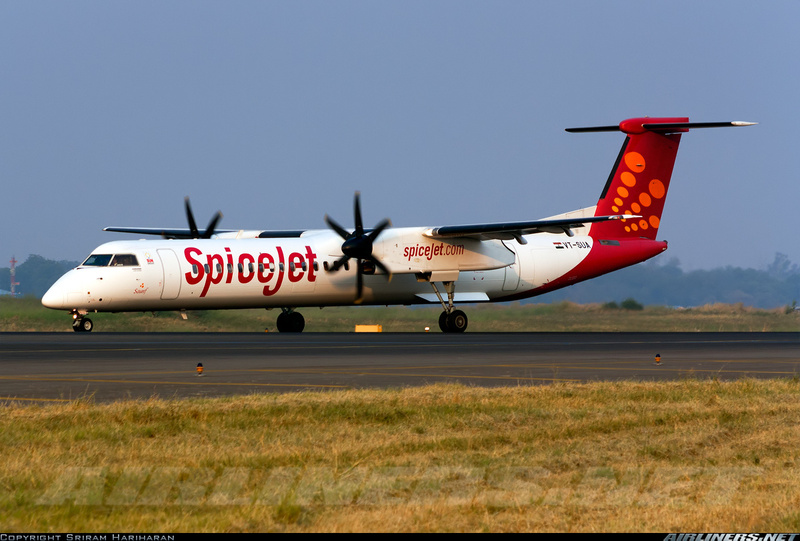 There are 15 x Bombardier Q400’s with Spicejet, and up to 39 Boeing B737-800/900ER’s scattered around the country, another repo nightmare in India. While it has potential, India is a very risky place to have an airline or aircraft, there will be more casualties to come, joining a long list of failed airlines covered in my blog of December 5th. In previous discussions on my blog, I have always said that the first step to solving a problem is to acknowledge there is a problem. My years spent helping operators restructure/turnaround their business have shown me that the biggest problem is for executives to acknowledge problems within their companies. Without that acknowledgement, you cannot get to determining what is causing the problems, be they symptoms or causes of decline. My Blog is called Aviation Doctor for a reason, it is how I have seen my work over the past 25+ years, diagnosing a company looking at symptoms of decline and determining the appropriate ‘medicine’ to deal with symptoms and causes of decline. Companies need to create a culture that encourages employees to speak out and raise red flags, instead of ignoring problems. I recently worked with a company well positioned in its market for years, yet as the outsider I could see the symptoms of future decline, the company was blind to its standing in the market, myopia settled in and it believed all was good within, time will show decline, but for now it is ignored by owners and management while competitors grow stronger. Look, we all wish everything was perfect in our lives, but rarely is that so, the same applies in business and you need to deal with problems right away as problems do not take care of themselves, all problems are a priority and they are signs of something broken, ignore the problems and you risk your business’s future. A business can go from being the king in its market to bankruptcy real fast, I have seen it too many times. 1. Every business has problems, its just the severity of the problems that differs. 2. We live in a fast changing market, what worked at one time, may not work in the future, you need to constantly adapt and change your strategy, business model, marketing and offering. 3. When problems are identified, most companies just ignore them or do some ‘bandage’ solution that works for a short while and then hell breaks loose. 4. It takes time for a company to get into trouble and it takes even more time to get out of trouble, the sooner you start to fix the problems the easier and quicker you will fix the problems. 5. You need a corporate culture of encouraging employees, customers and suppliers to speak up, and see your business from different perspectives not just seeing what you want to see. In Spicejet’s situation it took 5 Quarters of loses before major changes to capacity and network were introduced, to order $4.2 billion worth of aircraft and not deal with the current problems was foolish, again seen it all before, too many executives in this business are not capable of making change, day to day operations are fine, but to change direction of a company takes skills, boldness and energy that many do not have. « ABSTRACT: India’s LCC (low cost carrier) SpiceJet is in trouble, finally restructuring after 5 consecutive quarters of losses, just today it’s stock dropped 13.8%, as lessors start repossessing aircraft, yet 9 months ago it made a $US 4.4 billion order for 42 Boeing B737-8 MAX, now out of money ? where is the financial planning ? is the restructuring too late, again ? when will India’s airline industry be profitable with such low yields and high costs ? time for Air India to go bankrupt finally ? and yet LCC IndiGo is making money and orders 250 Airbus A320neo’s ready to dominate the Indian market with up to 528 Airbus A320/321’s by 2026 !